I couldn't help it, but last week at dogshow I saw again another supercool game for my dogs again. So I decided to buy it. It is the kibble drop by Kyjen Outward hound. It seemed that my ying yang game is from the same maker. 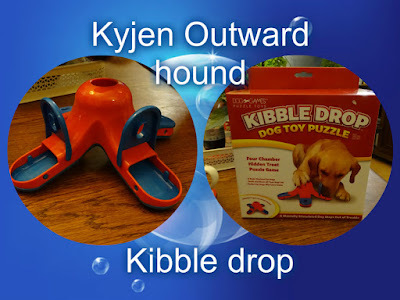 It is very cool, and it is a bit different then my other games, you have to put a kibble or treat into the middle, then the treat will roll towards one of the 4 legs of the game, and then the dog has to look where the treat went, and he can eat it when he opens up the cover. It is recomended to put on a surface where the game cannot slip to every side. Because when Anna and Star where doing it, it went all ok, they where not going crazy, but with Vivien the game went all over de place, she threw it in the air and out came the treat, so that did not really work. So I really need to work on a more easy behaviour when it comes to Vivien and Judy making this game. But you can in the meantime enjoy Anna doing her game with ease. 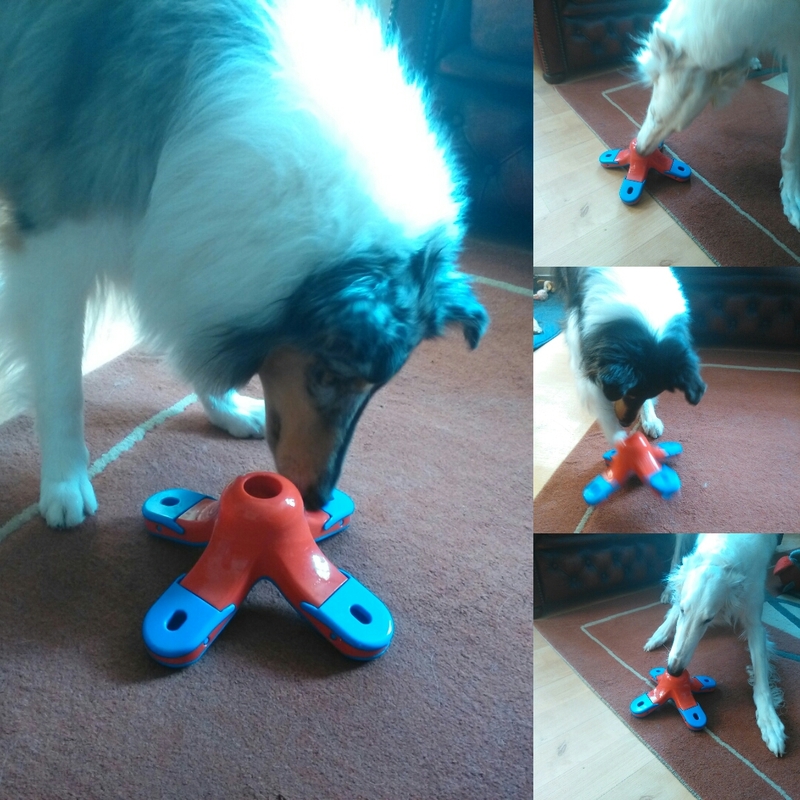 I like this game and I bet my dogs will enjoy it for a long time.